The investment firm CRV invested in a later round of Bird than it usually does with startups. But partner Saar Gur, who oversaw the investment, says it was worth paying a little more to avoid missing the boat. Gur says today’s scooters will be akin to the Ford Model T when we look back in the future. 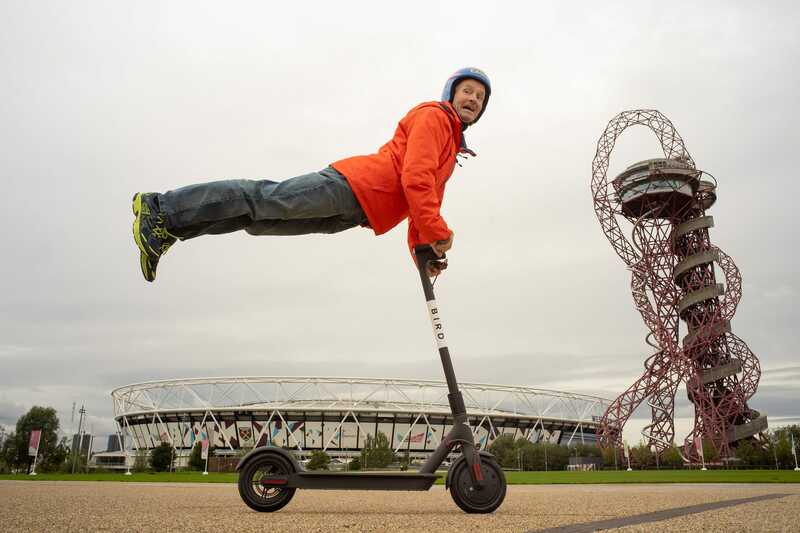 When CRV, a Massachusetts-based venture capital firm, invested in the scooter startup Bird, it was wildly different than many of its other investments. For one, Bird wasn’t like anything else in its portfolio. Next to names like ClassPass, Scribd, and dozens of healthcare startups, Bird looks like an outlier. What’s more, the investment was in Bird’s 5th round of funding, another a-typical move from CRB. But to get in on the ground floor of scooter companies as they continue to expand globally while racking up valuations in the billions, it was worth paying a little more, CRV partner Saar Gur explained to Business Insider. It all could be worth it in the end. That’s exactly what was in the 12-year VC veteran’s mind when an opportunity arose to invest in Bird’s $450 million series C1 round, which was announced publicly in June. “We watched companies like Lime and Spin start with pedal bikes in the US, and we actually passed on those because we didn’t feel like pedal bikes were the answer for the United States where the distances are longer,” Gur said. The firm then looked at Jump, before Uber ended up acquiring the e-bike and scooter startup in March 2018 for an undisclosed amount. And even despite getting in on what might end up being a later round, Bird is still just over a year old. Meanwhile, valuations of all scooter companies continue to climb, with Lime announcing in February another $300 million round that boosts its valuation to $2.4 billion. After a rash of broken scooters, vandalism, and even fires, all of the competitors in the space — and there are dozens — have begun rapidly investing in developing scooter 2.0. Even in preliminary launches of “upgraded” models, the new scooters are nothing like the Razor scooters from your childhood. “I think we’ll look back a hundred years from now at this first scooter and it will look like the Model T does when you look at a Tesla today,” Gur said of the improvements. That should also help for things like winter, which took its toll on scooter companies. Some Birds flew south for the winter, while there were other reports of companies downplaying hardships to investors. But when major cities begin to thaw this spring, investors like Gur seem confident in continued expansion. New York, for example, is considering bills that would legalize electric scooters while also creating a pilot program for rentals. Another Bird investor has been giving test rides on private land to reporters, while Lime opened a pop-up shop near Times Square to bolster public support for the potential laws. “And it’s more fun than sitting in an Uber or Lyft,” he added.